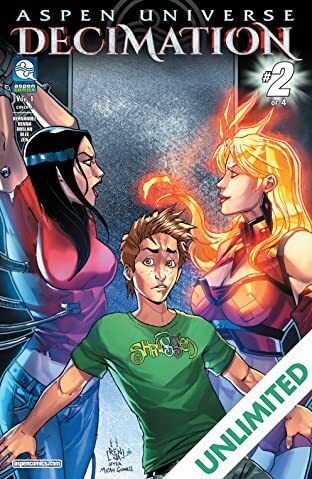 The time for Revelations has ended. 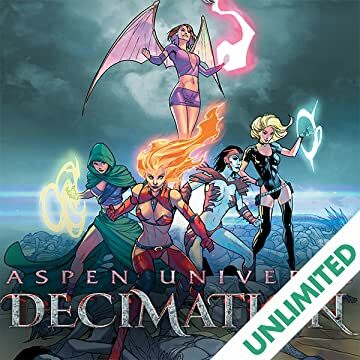 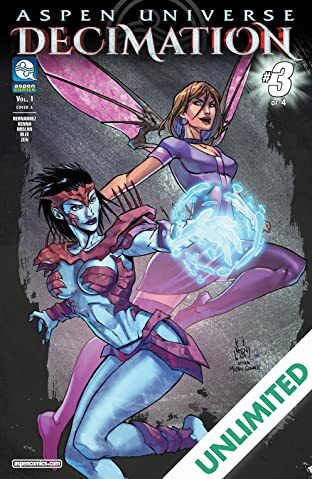 The time for Decimation has begun… Following the groundbreaking events of Aspen Universe: Revelations, the world of Aspen’s pre-eminent heroes is torn apart by a force far greater than any they have ever faced—the collective might of Aspen’s most powerful anti-heroines! 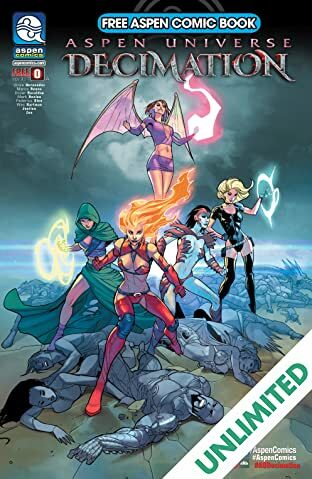 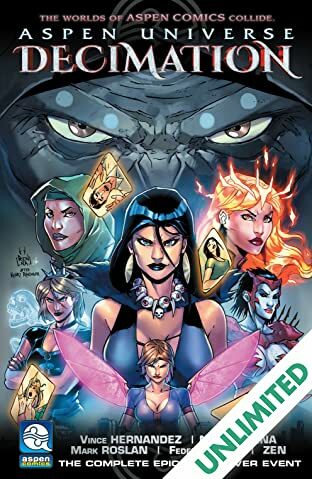 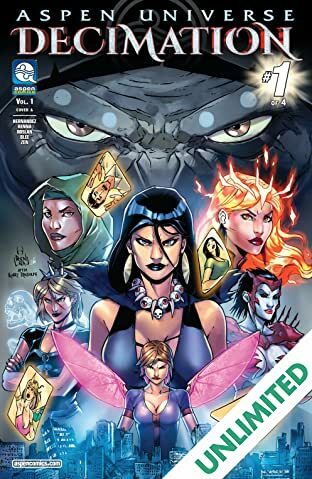 Together, this super group of dark ladies have a plan so catastrophic for the future of the Aspen Universe, that NO character is safe from their clutches! 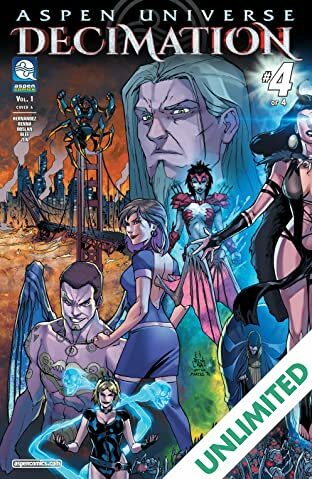 This completely brand new 16 page prelude story sets the stage for Aspen’s DEADLIEST event ever!